Is this Leaf with a different nose-job, the 40 kWh version? 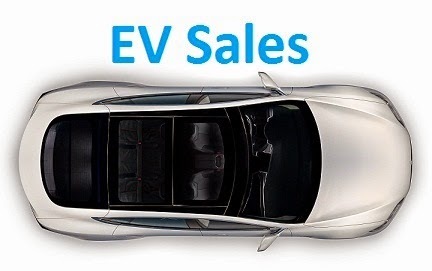 Thanks to outstanding performances in the USA, Europe and China, the global EV market had its best month ever December, surpassing for the first time the 100.000 units delivered, representing a 20% growth YoY, with 2016 ending with 774.000 units, 40% above 2015, placing the Global plug-in share at some 0.85%, still below the desired 1%, but i believe it will be a question of a few months until that threshold is achieved. In the models ranking, the big news were the race for Number One between the Nissan Leaf (Including the China-only Venucia e30) and Tesla Model S, with the Froggy Nissan winning the race by less than 1.000 units, pulling out a surprising 4.843 units in December, its best result since March, no doubt thanks to deep discounts, which was enough to resist the expected Model S December deliveries push, which was some 1.000 units below the September peak, possibly due to Tesla prioritizing Model X deliveries over its older brother. The Bronze medalist BYD Tang ended the year with a general slowdown, having registered only 1.510 units in December, its worst performance in over a year. The BMW i3 33-kWh-kick continues to be felt, with near-record performances, thus securing the Sixth Place, while the Tesla Model X surged to Seventh, thanks to a record 6.975 units in December, becoming last months Best Selling EV and also outselling for the first time its Model S sibling. Are we witnessing the coming of age of Tesla's Ugly Duckling? The Renault Zoe kept its Eighth Spot, but the BYD Qin dropped to Ninth in the last month of the year, with only 821 registrations, ending 2016 far from the Fourth Spot won in the previous year. In #10 we find a surprise, with the BYD e6, the oldest model in this Top 20, climbing to #10 and selling in 2016 more units (20.610) than in the previous six years combined (14.489)...It's amazing what a new (And big, 82 kWh!) battery does to an EV career, eh? As this is a Full Year Special Edition, we dig a little deeper, into the Top 20, where we can see that eight out of ten models come from China, among them we see the BAIC's sudden drop, the #13 Geely Emgrand EV (#3 in December) rise to power, winning the Rookie of the Year award, while they prepare a Top 10 position for 2017, the discrete but steady rise of the #17 BYD e5 and the #20 Zotye E200. The two other models come from the D-segment/midsize class, with the #16 Ford Fusion Energi beating its personal record and registering over 16.000 units, while the #19 VW Passat GTE became the Best Selling model from the Volkswagen Group, with 13.246 units. The rise of the Chinese manufacturers has significantly changed the BEV/PHEV breakdown, at this moment BEV's have a 64% take rate, well above the 36% of PHEV's, we have to go back to 2011 to see such a big difference. Looking at December Best Selling manufacturers, Tesla did another record performance, with 13.927 units, a new all-time high, leaving the remaining podium bearers miles behind, as the Second Placed BYD registered 8.444 units (Down 23% YoY...What gives BYD?) and BMW did a personal best of 7.852 units. Tesla ended in Second once again, with over 76.000 units, and it all points out that it will continue to be BYD's runner-up this year. As for the Bavarian automaker, the benefits from a strong (And extensive) lineup continue to be felt, securing its first podium seat with 62.148 units, or 3% of all BMW's sold in the World. In December three Bimmer models have beaten their personal best results and another was introduced (BMW 530e), so all points to a strong beginning this year and the 100.000 goal that the brand set for 2017 seems not only perfectly attainable, but somewhat modest. Below the podium many brands went all out in December, with Chevrolet having the most significant performance, not for the number itself, currently 4.572 units is not that much, but its a new record for the American brand and allowed it to overcome Mitsubishi and reach #8, an important step above the #11 achieved in 2015. As for Mitsubishi, sales were down 33% YoY to 32.000 units, its worst performance since 2013 and the #9 spot is the worst position for the Japanese manufacturer since it started in 2009...Carlos Ghosn has a big job ahead at Mitsubishi. Looking to the places below the #10 Renault, Mercedes is up to #13, with the German brand sales surging 88% to 20.000 units, Geely is the Newcomer of the Year, jumping to #17 in its first year in the market, while Audi had the strange thing that was down six positions to #20, despite growing 25% YoY. "We are growing, but the others are growing even faster!" - A phrase that must have been said sometime in EV-related Audi meetings, with the ultimate humiliation being the fact that it is currently the slowest selling of the Three German Premium Marys (Oh, the shame!). A / City Car - Zotye Cloud EV (16.417 units), Chinese specialty, remaining positions in the podium also by chinese models: Chery eQ (16.017 units) and Zotye E200 (13.154). E+F / Fullsize - Tesla Model S (50.944 units), hands down leader. Second and Third Place for Mercedes: The S500e was Second with 1.498 units and the E350e Third, with 1.117. 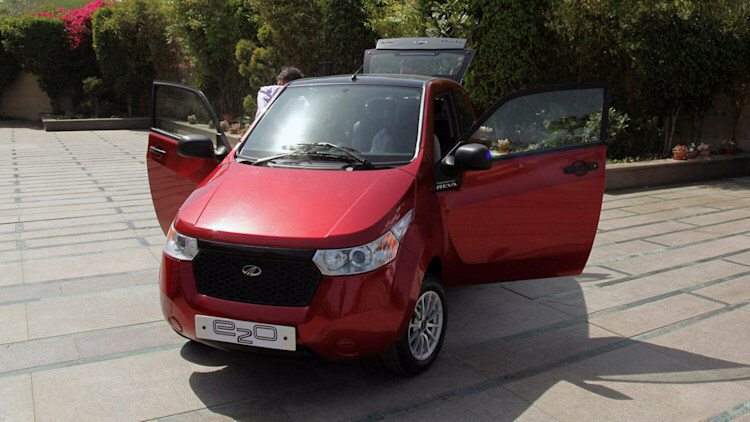 Pick up Truck - The Chinese Dongfeng Rich EV (305 units) arrived just in time to replace the Mitsubishi Minicab Miev Truck (66 units) and continue the EV saga in the Pick-up market. Unless legacy OEMs wake up to this niche, Chinese carmakers will probably fill the void soon with a number of models. * 351.000 units - At some point i was expecting 400k units, but still, is whole lot more than the 207k of 2015. And the Market Share reached 1.45%, more than the US or Europe. * 159.000 sales - Strong second half of the year, leaving good signs for 2017. * 46.000 units in Norway - Sales continue to grow higher and higher (29.5% market share! ), albeit through plug-in hybrids, as BEV's have stagnated in 2016. * 22.000 units - What can i say, big disappointment here. * Renault Zoe #1 - How could it be otherwise? * 34.000 units - Steady growth, with the market share ending at a record 1.7%. * BMW i3 #1 - The prodigal son took the Trophy home after a close race with the Renault Zoe. * 27.000 sales - A bit disappointing, only 3.000 units above 2015, and that's with incentives kicking in...What's wrong with this picture? One is pretty obvious, after all, the Norwegian EV performance continues to be the poster-child for the EV Scene, with the market share ending 2016 at 29.5% vs 23% in 2015. But there were other markets pulling up strongly, like Sweden (3.6% now vs 2.6% in '15), Belgium, (1.8% in '16 vs 0.8% in '15) or Austria (1.6% vs 0.7%). But the most impressive market was Iceland, with the EV Share jumping from an already high 2,9% in '15, to 4.6% now! Other markets with healthy rises were China (1.45% vs 0.84%), the UK (1.48% vs 1.07%) and Finland (1.2% vs 0.6%), which together with France (1.7%), Netherlands (6%), Switzerland (1.8%), Hong Kong (+/- 5%) and Sri Lanka (+/- 2%), make a grand total of 13 markets with over 1% market share...Not bad, eh? Others have also progressed greatly, like the USA (43k more, to 158k) or Norway (46k vs 34k), while the UK (40k vs 28k), continues to outpace the growth of France (34k vs 27k) and Germany (27k vs 24k), outside the Big 8, there are also markets adding significant volume, like Belgium (+5.5k! ), Sweden (+4.5k) or Canada (+4k), while South Korea finally woke up and grew to 5.883 units in 2016, up from 2.681 in the previous year. A market to keep an eye in 2017. Nissan Leaf - Japan (Outlander PHEV); Italy (Like in 2014 and 2015); Estonia (Since 2013); Ireland (Since 2011); Portugal (Outlander PHEV); Slovakia (Like in 2014 and 2015); Cyprus; Malaysia (Renault Twizy); Mexico; Sri Lanka (Since 2013). BMW i3 - Germany (Kia Soul EV); Czech Republic (Like in 2014 and 2015); Slovenia (Renault Zoe); Poland (Outlander PHEV); Romania (Outlander PHEV); Hungary; Greece; South Africa (Like in 2015); Brazil. VW Passat GTE - Netherlands (Outlander PHEV); Sweden (Outlander PHEV). Hyundai Ioniq Electric - South Korea (Renault Samsung SM3 ZE). BYD Tang - China (BYD Qin). 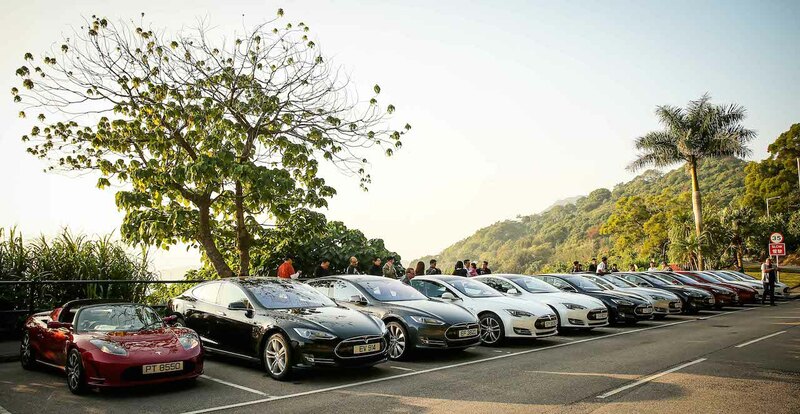 Examining this, we can see that the Tesla Model S lost a great number of markets, collecting only four awards, while the Nissan Leaf recovered five markets, one of them being its home country, winning 10 Best Seller trophies. Mitsubishi's SUV also lost a number of #1's, with only seven markets crowning it as the Best Seller, but had a somewhat unexpected award in Norway (Kudos for the local importer), while the BMW i3 won in nine markets, including its home Germany, with these four models being the only ones to win in more than three markets. Prius PHEV: 2017 Best Seller? In 2016, the Japanese EV was down for the second consecutive year, this time the drop was smaller, only 12% regarding 2015, with some 22.000 plug-ins being registered. Consequently, the EV Share was down to 0,42%. 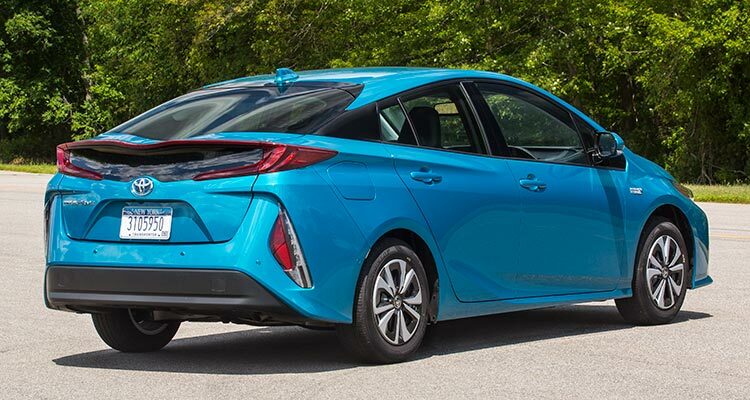 With such numbers, one has to go back five years to see such low numbers, with the coming arrival of the much anticipated Toyota Prius Prime, things are expected to change for the good in 2017 and even the 2014 record (32.418 units) can possibly be beaten, let's wait and see. But not all was bad news in 2016, the Nissan Leaf has beaten its 2014 sales record by some 600 units, establishing also a new all-time record for any model in Japan, with this performance, the Nissan EV has won its Fourth Best Seller title in Japan, after those won in 2011, 2013 and 2014. On the other hand, the other driving force for plug-ins in this market, the Mitsubishi Outlander PHEV, had by far its worst year ever, with only 5.459 units, half of what it usually registered. The remaining models in the ranking have comparatively small numbers, with the top two models gobbling 90% of the market. In the manufacturers ranking, it's another win for Nissan, its Third, after the 2011 and 2014 titles, having one trophy less than Mitsubishi (2009, '10, '13 and '15). Will Nissan win its fourth this year? If i had to bet, i would say "No", as Toyota seems focused to recover with the new Prius the scepter won in 2012. I'll have the white one, please. #1 VW Passat GTE – The Volkswagen midsize offering had a record result, with 3.310 units, Holland (2.736 units) absorbed 83% of all Passat GTE registrations, starving the usual bread-and-butter markets, like Sweden (150 units) and Norway (159). With the right mix of electric range, space, power and price, the Passat GTE is a continuing success among company fleets across Europe. #2 Renault Zoe – Despite being one of those all-hands-on-deck month, as Renault was set to recover the YTD leadership from the Outlander PHEV, registrations were down 9% YoY to 2.867 units, because mass delivery of the 40 kWh version only happened in France and late in the month, leaving dealerships elsewhere with little inventory to sell. Because of this, the French hatchback had a good performance at home (1.928 units, up 22% YoY), but disappointed elsewhere. #3 Mitsubishi Outlander PHEV – As it ran to keep the YTD leadership, the Japanese SUV profited from the Dutch sales surge (1.065 units) in December to reach a sales peak of 2.393 units, but Mitsubishi ended the month in Third, as it failed to deliver in Norway (259 units, down 33% regarding the previous month) and the United Kingdom (440 units, down 35% YoY) their usual monthly Outlander fix. Were they unable to increase the production output? #4 BMW i3 – The German Stormtrooper hatchback continues to profit from the 33 kWh sales boost, this time with 1.819 units being delivered. Besides the usual Norway, with 413 units, other markets where the Bimmer performed well were Germany (433 deliveries), the United Kingdom (250 units) and Switzerland (149). After a really close race for the Best Seller title, with the deliveries delay of the 40 kWh units artificially dragging down the Zoe performance, the Renault model finally managed to win its first Gold medal, after two Silvers and one Bronze, with 21.735 units (422 of them being 2-seater LCV’s aka vans), 417 units ahead of the two times winner Mitsubishi Outlander PHEV, that despite seeing its sales drop 32% regarding 2015, still managed to give the chills to Renault and leave the Best Seller title decision to the last week of December, when the Zoe deliveries really took off. As expected, the Nissan Leaf ended the year in Third, with 18.827 units, up 21% YoY, being effectively its best year in Europe since it arrived in 2011, all thanks to the 30 kWh battery in the first half of the year and heavy discounting later. Below the podium, the VW Passat GTE jumped two positions to Fifth Place, while the Audi A3 e-Tron and Volvo V60 Plug-In profited from strong performances in Holland to climb one position each, respectively to #11 and #16. Talking about climbers, the trend-setters #18 Audi Q7 e-Tron and #19 Tesla Model X earned a couple of positions in the ranking, with the Tesla model winning also the Rookie of the Year award. A hot item is the Luxury SUV class, the Volvo XC90 T8 won this category, with almost 10.000 units, three times more the sales that the 2015 winner had then (Porsche Cayenne PHEV, 3.385 units). Interestingly, this year, four Luxury SUV’s (Volvo XC90, BMW X5, Audi Q7 and Tesla Model X) sold more than last year winner. Hot stuff indeed. In the manufacturers ranking, BMW won its first Manufacturers title, with 17% share, leaving last year winner, Volkswagen (15%), in Second Place, with Renault in Third, with 13% share, followed by Nissan and Mitsubishi, both at 10%. Interestingly, in 2015 BMW was only Sixth, with 8% share. 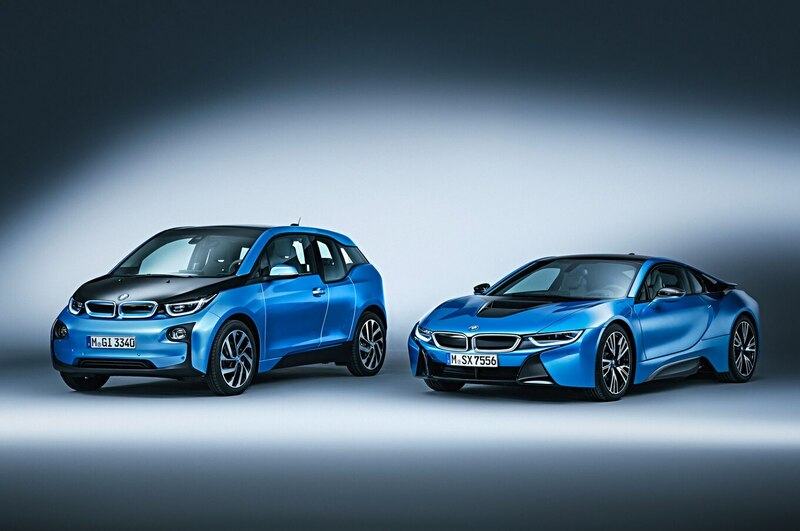 The reasons for this turn around lie in their ever expanding i-Performance PHEV lineup pumping out sales at full speed and the new 33 kWh version of the i3, that pulled sales of the RWD hatchback to record heights.